NY: The Knicks were back at Madison Square Garden last night to face the struggling Orlando Magic. The Magic 13-17 on season was just what the doctor ordered. Melo and the Knicks cruised to a 106 to 95 victory over the Magic. 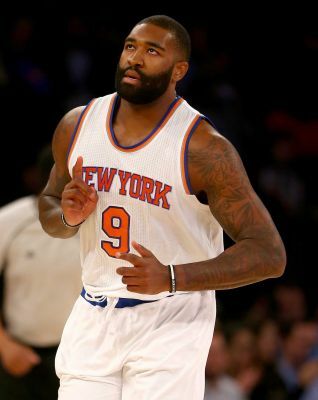 Kyle O’Quinn lead the team in rebounding the 26-year-old posted 14 points, 16 rebounds, five offensive boards, and five blocks in just 24 minutes. Hernangomez finished with 15 points and five rebounds in 21 minutes. He shot 7-of-11 from the field, made a surprising 3-point field goal, and took over with 12 points in the fourth quarter of what was a reasonably close game.On a night where Kristaps Porzingis left early for precautionary purposes and Carmelo Anthony couldn’t find his shot, Hernangomez closed out a win for the Knicks. Derrick Rose spoke highly of the bench in his postgame interview. We need those guys to be effective, it helps us as a team. Rose in his second game back from back spasm had 19 points in 26 minute to lead the Knicks. Although Melo had a sub-par performance with 15 points and grabbed 8 rebounds.